The first single from the duo’s long-awaited RTJ3 album. In September, El-P took to Twitter to announce that "every word for #RTJ3 has now officially been recorded," promising fans that the album was almost done. 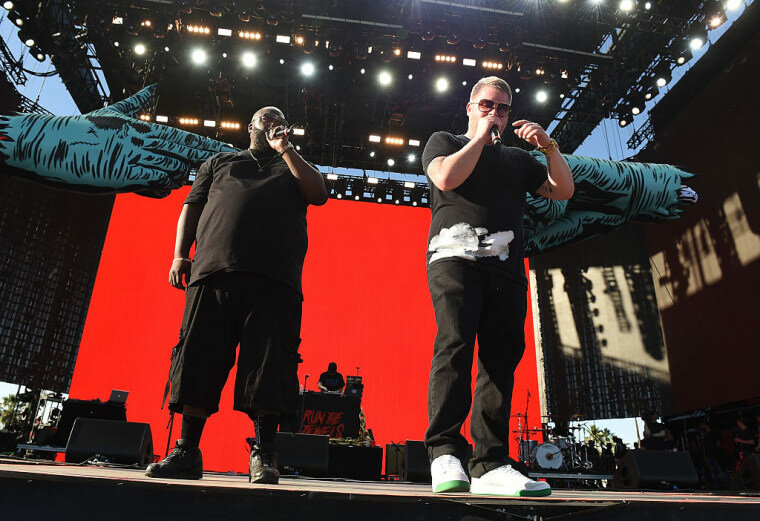 Today, El-P and Killer Mike have shared "Talk To Me," the first single from their third studio album as Run The Jewels. The new track, which premiered on Monday as part of the Adult Swim Singles Program, is a fast-paced banger on which Killer Mike spits, Born black that's dead on arrival/ My job is to fight for survival. The single arrives on the two-year anniversary of RTJ2. Listen to "Talk To Me" below via Adult Swim.